How to Go from Zero to 75 Real Estate Investment Deals in 45 Days | Passive Income M.D. 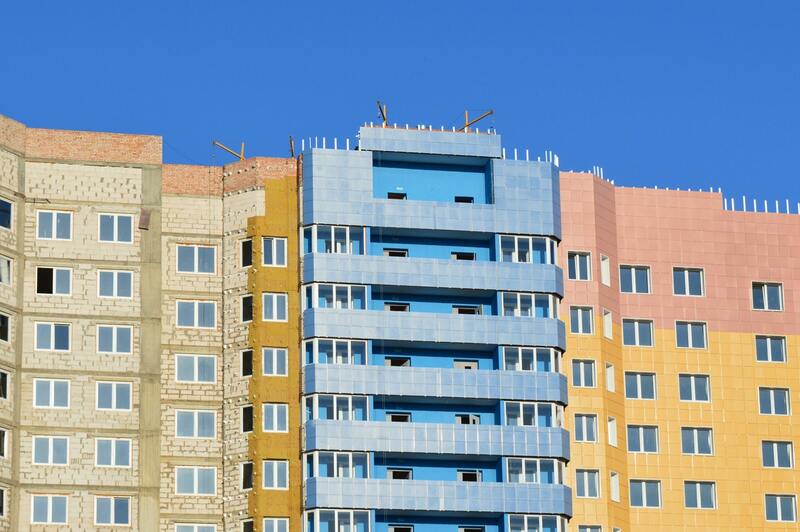 Real estate crowdfunding is a great way to invest passively in real estate. In essence, it connects real estate professionals looking to fund their projects with investors looking for investment opportunities. In the past, this connection might have been quite difficult to make without knowing someone personally. However, with the JOBS Act of 2012, all of that changed. Now, online platforms have created a marketplace for these connections to happen. This has lowered the barrier of entry and has allowed normal folks like you and me to more easily become real estate investors. I actually started my real estate investing career through crowdfunding. Armed with a little bit of knowledge, a little bit of cash, and a good amount of hesitation and fear, I made my first real estate investment with just $5,000. That first step was a difficult mental hurdle to get over. But once I started seeing interest deposits hit my bank account each month, I realized how powerful this could be for creating a steady stream of cash flow. I was hooked. Since then, I’ve invested in nearly $300,000 worth of crowdfunded real estate deals and (knock on wood) have not had any loss of capital. Doesn’t mean I won’t have any losses in the future, but I’m also getting better at vetting each deal. Crowdfunding also opened the door for me mentally to invest in other areas of real estate including single family homes, multifamily (apartment buildings), and different syndications. Because of the nature of the investments (shorter terms, good returns, lower minimums), real estate crowdfunding is a great way for investors to not only get a taste of what it’s like to be a real estate investor, but it’s also a decent source of passive cash flow. I get asked all the time on this site, by email, and on our Facebook Group, “How can I get started investing in real estate?” I always like to say that crowdfunding is an easy way to get yourself in the game immediately – and you don’t have to put a large amount of capital at stake. Performing proper due diligence means being able to assess the deals and the operators to see whether the investment is worth the risk. The platforms themselves all do their own due diligence, with many touting that of all the deals that come across their desk, less than 5% ever make it on the platform. However, it’s up to you as the investor to take it the rest of the way. However, without much experience, how are you able to navigate the world of After Repair Values, Loan to Stabilized Values, Metropolitan Statistical Areas, and the loans themselves? There is a learning curve, however, with a little experience, you can become more adept at reading and assessing investment summaries. Often times, the best deals that make it on the platforms go fast and fill up quickly. Although the minimums are low, investors comfortable with the process typically invest way more than the minimums. I remember many times thinking about making an investment, only to check on it a few hours later and finding that the deal was long gone. With these platforms, acting quickly is crucial. Make sure to sign up to be on the deal feeds and take a look quickly once it hits your email inbox. People always wonder whether it’s better to go all-in on one deal or spread that risk among many. There’s no perfect answer to this, simply because there are so many variables. But like a mutual fund, I think diversification can be helpful. If you have a higher degree of confidence in a particular deal or operator though, you may want to be a little more aggressive than the minimum. Diversification normally means that you put smaller amounts into a good number of deals, and try to spread them out over different areas and different operators. However, if minimums are $5,000 or $10,000, trying to diversify can easily make it a $45-50k investment. 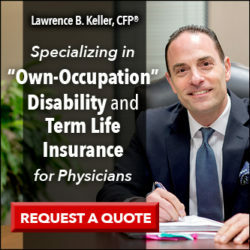 So what options do you have in trying to mitigate some of these challenges? Well, last year I heard of a site called AlphaFlow that was created to address these issues and was unlike anything else in the space. I did some digging and found out it was headed by Ray Sturm, one of the most experienced individuals in the field of crowdfunding and one of the co-founders of RealtyShares. 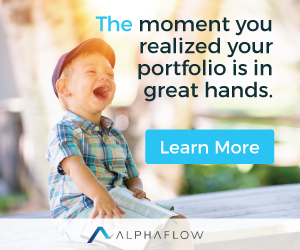 However, I actually didn’t know of anyone who had invested in AlphaFlow until I talked to Dr. Jim Dahle, the White Coat Investor, and found out that he himself had invested with them. 8-10% blended returns after their 1% fee. They’re a Registered Investment Advisor (RIA) and therefore are legally bound to have your best interest at heart (a fiduciary). They disperse your funds with micro-investments in 75-100 deals across the most reputable crowdfunding platforms in 30-45 days. Deals are spread all over the country, across many platforms, and with many different operators. They use advanced analytics and years of experience in the field to determine which deals are best and say they use at least 50 different factors in making that determination. Large institutions, hedge funds, and endowment funds are now investing through AlphaFlow to gain access to the world of real estate crowdfunding. You need to be an accredited investor. If you like to be very intentional about each deal and like to do your own due diligence, this is probably not the best for you. Perhaps you want a return of capital all at one time, and have a date for that (for example in 8 months), this is not for you. If you’re not an accredited investor, unfortunately you’re not eligible. If you’re looking to make one investment that gives you a broadly diversified real estate investment portfolio and would like to do it as passively as possible, this might be a good fit. With one $10,000 investment with AlphaFlow, you could be an investor in 75 loans and have a steady stream of passive cash flow within 4-6 weeks. Does this appeal to you? Has anybody invested with them and have any feedback? Would love to hear your experience. Previous articleSpend Less or Earn More – Which is Better? With a platform like Alphaflow working multiple loans over various states, how does that work for tax needed to pay by the individual investor? Hopefully it doesn’t require you to file a state income tax for every state a property is located in. I should’ve probably mentioned it on the post, but one of the nice perks is that you receive one single K-1 at the end of the year instead of multiple 1099s or K-1s to track to down. You should speak to your CPA but from what I’ve heard, even though it is a CA entity that you’re invested with, you only need to file locally. However, again, confirm that with your CPA. I think I am different than most, crowd funding to me feels more like owning paper than real estate. It is uncorrelated from the stock market, but I’m not sure if it would feel different than owning a REIT. If I want exposure to this asset class, I feel like I need to own and manage an actual cash flowing property. Just my thoughts. You’re right, you own paper that ultimately owns the first rights to the property. It is a little removed from owning it yourself, however, I like the fact that all investments are backed by real, concrete assets vs. something like a lending club investment. Some people want to be extremely passive with their investing and this might fulfill that. I can’t say it’s too far off owning a REIT in terms of feeling, but numbers seem to suggest that public REITs are a lot more correlated to the stock market than most people think. Actually, it is definitely easier to know what exactly you’re invested in with crowdfunding. Some people like that transparency. As you know, I’m a big fan of diversification and multiple streams and exits, so crowdfunding is just another way of investing in real estate in addition to owning my own properties. What’s your thought of Alphaflow vs. a Fundrise eReit? I understand that Alphaflow is primary debt and Fundrise can offer equity-based (growth) eReits. How reputable is Fundrise? Interested in your take. You’re right, AlphaFlow is all debt and Fundrise has both debt & equity opportunities for their eREITs. The major difference is that AlphaFlow doesn’t manage or operate any of their own deals, they seem to cherry-pick the best of what’s out there across 5-6 major reputable platforms and create that portfolio of 75-100 deals. The difference is that AlphaFlow does a second layer of due diligence by choosing from existing deals on other platforms after they’ve done their internal due diligence and put them on the site. Liquidity might be a little better with AlphaFLow because you can choose to have your capital returned to you immediately when the deals exit. When you put your money in Fundrise eREITs you should expect to keep them in there about 5 years. I personally have only invested in Fundrise years ago when they were doing single deals and not in an eREIT, although I have talked to a few investors and they have been receiving distributions as promised. Do you make these crowdfunding investments with pretax or aftertax dollars? You can invest using both. Could one use an employer-sponsored 401k plan to make crowdfunding investments? I would imagine it’s technically possible, BUT only if your custodian allows it. That’s very unlikely if it’s a Fidelity, Vanguard, Prudential, etc. They require you to stay with mutual funds so they can get their cut. If you have an old 401K; however, you can roll it over to a self-directed IRA (Google it) and investment any way you choose. Also, if you’re 59 1/2 or older, you can withdraw from your 401K without penalty (just regular income tax). Thanks! Can you recommend a site to check out lending fund investments as well. Sorry, just want to make sure I understand the question. Do you mean other crowdfunding sites like these: https://passiveincomemd.com/best-real-estate-crowdfunding-sites/. Or do you mean peer to peer lending like Lending Club & Prosper? I’m interested in AlphaFlow investment and would like to know if anyone has personally invested with them. Thanks.